One of the worst lies about health related matters that has been told to the American public is about the evils of cholesterol and the benefits of cholesterol lowering statin drugs. The only studies that validate the idea of maintaining cholesterol levels below 200 are those that come directly from the drug manufacturers themselves. The sad truth is that a huge segment of the public is being victimized by what I can only call a criminal deception to sell drugs with no redeeming qualities. In other words, the public is being lied to and victimized so the drug companies and their cohorts can maximize their profits. The drug companies and the majority of medical doctors, who take their marching orders from them, push the statin drugs as if they were sacraments which if not taken faithfully would condemn the heretic to the fires of hell. The following is reprinted with the permission of www.mercola.com, the most respected natural health resource on the Internet. It is the most accurate, complete and concise gathering of information on the subject that I know of. Criticized for Decades – Now a Nutritional Superhero? Dr. Stephanie Seneff is a senior research scientist at MIT where she has been conducting research in computer science for over three decades. She also has an undergraduate degree in biology from MIT, and a minor in food and nutrition. She’s affiliated with the Weston A. Price Foundation and will be speaking at their November Dallas conference, and so will I. Here, I will summarize Dr. Seneff’s stance on cholesterol, which she believes conventional medicine is seriously confused about. “I get very annoyed when I hear this, and we hear it a lot—that your body can make all the cholesterol it needs and therefore you don’t need it in your diet,” Dr. Seneff says. Dr. Seneff actually believes it’s difficult to get “too much” cholesterol in your diet, particularly in the standard American diet. But you may very well be getting too little, and that can cause problems. Dr. Seneff also points to the research by Weston A. Price; a dentist by profession who traveled all around the world studying the health effects of indigenous diets. 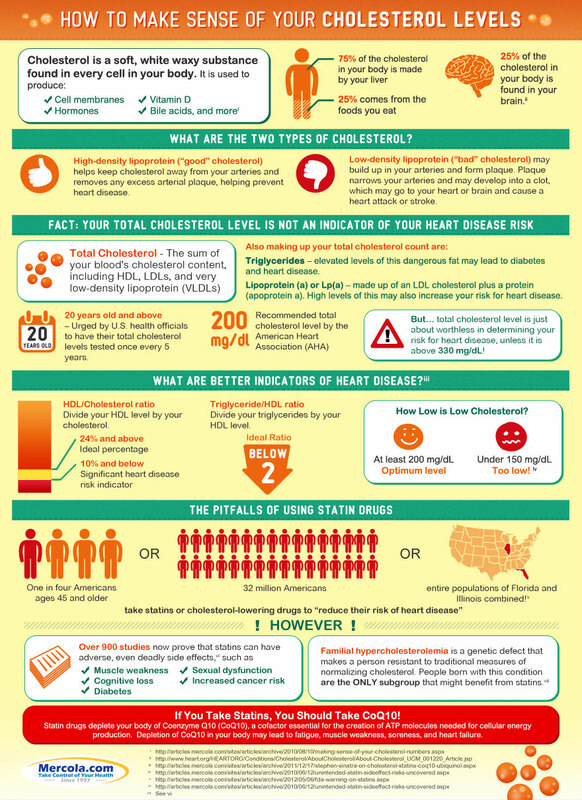 Interestingly enough, many indigenous diets are shockingly high in dietary cholesterol based on today’s conventional medical standards. Foods like caviar, liver, and the adrenal glands of bears were highly valued in some cultures that also had very low rates of heart disease and other modern diseases. Through her research, she has developed a theory in which the mechanism we call “cardiovascular disease” (of which arterial plaque is a hallmark) is actually your body’s way to compensate for not having enough cholesterol sulfate. To understand how this works, you have to understand the interrelated workings of cholesterol, sulfur, and vitamin D from sun exposure. Dr. Seneff believes that high serum cholesterol and low serum cholesterol sulfate go hand-in-hand, and that the ideal way to bring down your LDL (so-called “bad” cholesterol, which is associated with cardiovascular disease) is to get appropriate amounts of sunlight exposure on your skin. 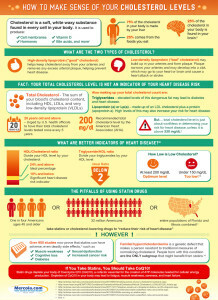 What this also means is that when you artificially lower your cholesterol with a statin drug, which effectively reduces the bioavailability of cholesterol to that plaque but doesn’t address the root problem, your body is not able to create the cholesterol sulfate your heart needs anymore, and as a result you end up with acute heart failure. Interestingly enough, when a mother has high serum cholesterol, the baby’s levels are typically low. But the child also tends to have fatty deposits in his arteries…despite the fact that fatty deposits are supposed to be associated with high cholesterol. “The worst thing you can do is to clobber the LDL… because you’re going to radically increase your risk of ending up with heart failure,” Dr. Seneff says. Your liver can make cholesterol, but it requires effort. As Dr. Seneff points out, it’s a complex process involving some 25 to 30-steps. Now, one factor that most people are unaware of is that when your liver is busy processing fructose (which your liver turns into fat), it severely hampers its ability to make cholesterol. This is yet another important facet that explains how and why excessive fructose consumption is so detrimental to your health.